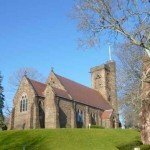 St. Thomas, nobly sited on a hill overlooking Long Island Sound, is the oldest congregation in Mamaroneck, and arguably one of the most beautiful in a town of many churches. Since its incorporation in 1817, St. Thomas has been a vital force in the community it serves. St. Thomas owes its founding to Caleb Heathcote, first lord of the Manor of Scarsdale, and his descendants, the Delanceys. Beginning in 1704, Heathcote held Anglican services in his home on what is now called Heathcote Hill in Mamaroneck. Services were eventually moved to Christ’s Church in Rye. By 1814, Mamaroneck residents agreed it would be more convenient to have a church of their own and elected John Peter Delancey, Caleb Heathcotes grandson, warden of the new parish. His son, William Heathcote Delancey, became the first resident minister of St. Thomas. 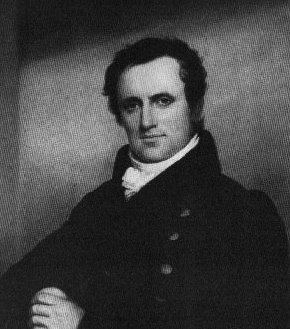 His daughter, Susan, and her husband, the novelist James Fenimore Cooper, were also communicants of St. Thomas. St. Thomas was reincorporated in 1817 to conform to New York State law. The founding vestry included members of several prominent New York families: co-warden Peter Jay Munro, Thomas J. Delancey, Edward J. Delancey, Henry Gedney, Benjamin Hadden, Jacob Mott, Benjamin Crooker, Guy C. Bayley, and Monmouth Lyon. Consecrated on June 17, 1823, the first St. Thomas church was a simple wooden structure painted white with green shutters. It was used for more than sixty years. A Sunday school was started in 1834. By 1837, St. Thomas had its first full-time rector. By the late nineteenth-century, many affluent families summered in the bucolic waterfront village of Mamaroneck. Among them were James M. and Henrietta Arnold Constable, who had an estate on Delancey Neck (now Orienta). Constable was a prosperous merchant, having joined forces with the Arnold family in the Manhattan department store, Arnold Constable, as well as in marriage. Mrs. Constable was fond of the little church where she worshipped in the summers. The name of Mr. Constable, who was elected a warden in 1874, surfaces frequently in vestry minutes, especially in relation to his efforts to raise money to replace the parish buildings. Their son, Frederick A. Constable, was senior warden of St. Thomas starting in 1892. When Mrs. Constable died in 1884, the family decided to honor her memory with a new church. Designed by the architect Bassett Jones, St. Thomas was modeled after St. John the Evangelist, a similar church in West Meon, Hampshire County in England. On June 11, 1886, the day after the church’s consecration, the Eldridge twins, Thomas Waterman and Charles Christopher, were baptized here. That same year, on October 5, Frederick W. Fremd and Marie Hagedorn were married in the church’s first wedding, followed four weeks later by the first funeral, that of Jacob Fisher on November 7, who died from injuries suffered on the railroad. St. Thomas the Apostle, the infamous doubting Thomas, is symbolized by the T-square in the parish seal, designed with the help of Fenimore Cooper, a vestry member from 1818-19. The patron saint of architects, contractors, and masons, Thomas would have been proud of his solid, carefully maintained namesake. The exceptionally beautiful nave ceiling, 50 feet above the mosaic pavement, is made of pine with distinctive bowed arches that give it the appearance of a ship’s keel. The pews and original doors, now worn smooth, were built of oak selected as standing trees in Tennessee by the Constable family. Dozens of rosettes adorn the woodwork: each of them different. Ellin & Kitson of New York carved the Caen stone altar, pulpit, and reredos, a replica of Leonardo da Vinci’s Last Supper. One of the glories of St. Thomas is its stained-glass windows. They were made by Clayton & Bell of London, whose elegant style was inspired by medieval glass and complemented by umber and violet, colors then new to glass. For their work at Ely Cathedral, Kings’ College Chapel in Cambridge and elsewhere, the firm was granted a royal warrant by Queen Victoria in 1883. The church is constructed of Belleville brownstone and roofed in red Vermont slate. Inside its square bell tower are ten cast-bronze bells, each inscribed with a line from scripture in Latin, that were manufactured by the Clinton H. Meneely foundry of Troy, NY. The bells were rung by hand until 1928, when their operation was electrified. Tiffany & Company imported the English movement clock and placed it in the belfry in 1885. The Parish House, which contains the Chapel of St. Luke the Physician, was also built in 1886. The church, Parish House, and nearby Endowment Building are unique examples of the Neo-Gothic Revival style in the Village of Mamaroneck, as is the Tudor-Revival style Heathcote Hall. The St. Thomas complex is the only contiguous, surviving collection of late-nineteenth century architecture in the Village. By 1900, the tumultuous changes caused by America’s rapid industrialization and waves of immigration forced churches everywhere to extend their ministries. St. Thomas expanded to include a day-care center, social hall, and gymnasium. The 1925 addition of Heathcote Hall further facilitated St. Thomas’ numerous community and social outreach programs. Sprinkled throughout nearly two-hundred-years worth of vestry minutes are numerous examples of St. Thomas’ commitment to social justice and to the community of Mamaroneck. Early in 1900, the church established what would become the Mamaroneck Health Center. Women of St. Thomas were authorized to vote in parish elections in 1915. During World War I, St. Thomas faced down wartime hysteria against Germans, and subsequent anti-Semitism. In 1932, a thrift shop opened for the benefit of the unemployed and operates to this day. 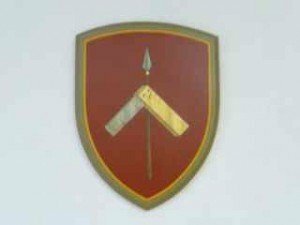 Numerous parishioners saw active duty in the world wars and Vietnam. For 168 years, the Sunday School has educated the youngest members of the community. St. Thomas today is a joyful, prayerful family that welcomes people of all faiths to worship, contemplate, or merely draw a peaceful breath inside its historic church. St. Thomas continues to provide outreach programs to the people of Mamaroneck and their neighbors. New traditions, such as the autumn Pumpkin Patch and Lenten labyrinth walk, join with old to bring together the community for fellowship and glad service to humankind. History compiled and written by Judith Dupré, with thanks to Anne Timmerman, Ann Metcalfe, and the Rev. Deborah Tammearu.